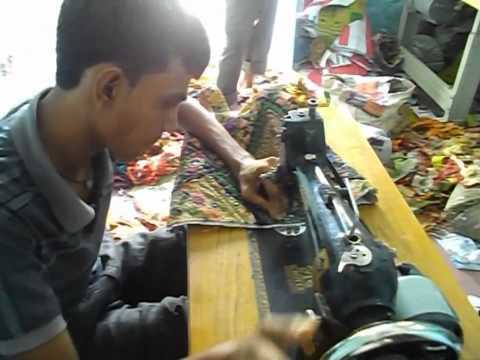 Vishal Handicraft was incorporated in the year 2008 as a sole proprietorship firm, engaged in manufacturing, exporting, wholesaling and supplying a wide assortment of Wall Hanging, Table Cover, Bag, Bed Cover Meena Karikari, Silk Patch Cover, Kantha Bed Cover, Bed Spread, Puffs, Jackets, Quilts, Umbrella, Applique, Printed Scarf, Cushion Cover and Antique Library. Products falling under these categories are Designer Cushion Cover, Kantha Cushion Cover, Embroidered Wall Hanging, Handmade Designer Wall Hanging, Vintage Banjara Bag, Meenakari Table Cover, Designer Table Cover and many others. All these products are precisely designed by our creative and talented professionals, keeping the specifications of clients in mind. Furthermore, clients can specify their orders and we hold expertise in meeting those specifications according to that only. Before making our range to final packaging, we strictly check their excellence on various parameters, in order to deliver defect free range at our clientâs end. To make easy monetary transaction, different payment options are also provided by us to the clients.